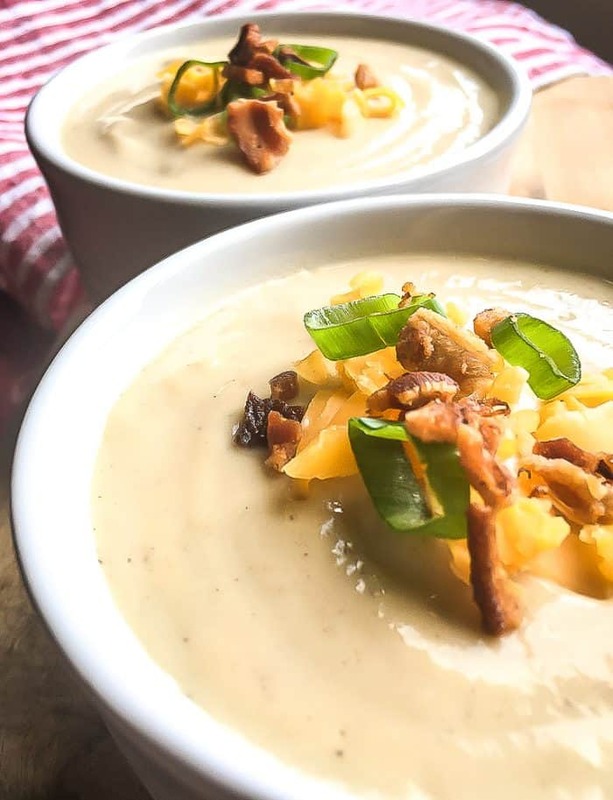 This delicious Instant Pot Keto Cauliflower Soup is perfect for those warm evenings when you can’t imagine standing over a hot stove. Serve it chilled in the summer and warm in the fall and winter. Either way it tastes delicious and will add some variety to your keto diet. Boredom with your food is a diet killer, so treat yourself to some variety! Tip: If you don’t care for the distinctive tangy flavor of goat cheese, try substituting ricotta, mascarpone, or additional cream cheese in its place. Add leeks, cauliflower, garlic, chicken broth, and cinnamon to Instant Pot. Season with salt and black pepper, to taste. Add lid and lock into place. Switch vent to “Sealing” position and set the “Manual” setting on high before adjusting the cook time to 9 minutes. After a brief pause, the Instant Pot will automatically start building pressure. When finished cooking, do a quick release (QR) to allow the pressure to escape. Unlock and carefully remove lid. Add goat cheese, cream cheese, and sharp cheddar to the container and stir until cheese is completely melted. 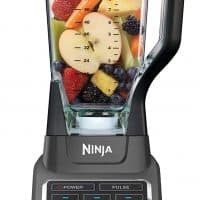 Blend mixture with immersion blender until smooth (or transfer to blender or food processor if you don’t have an immersion blender). Taste and adjust seasonings, as desired. Transfer soup to an airtight container and store in the refrigerator until chilled. To serve, transfer to individual serving bowls and top with crumbled bacon, green onions, grated cheddar cheese, or edible flowers, if desired. Enjoy! 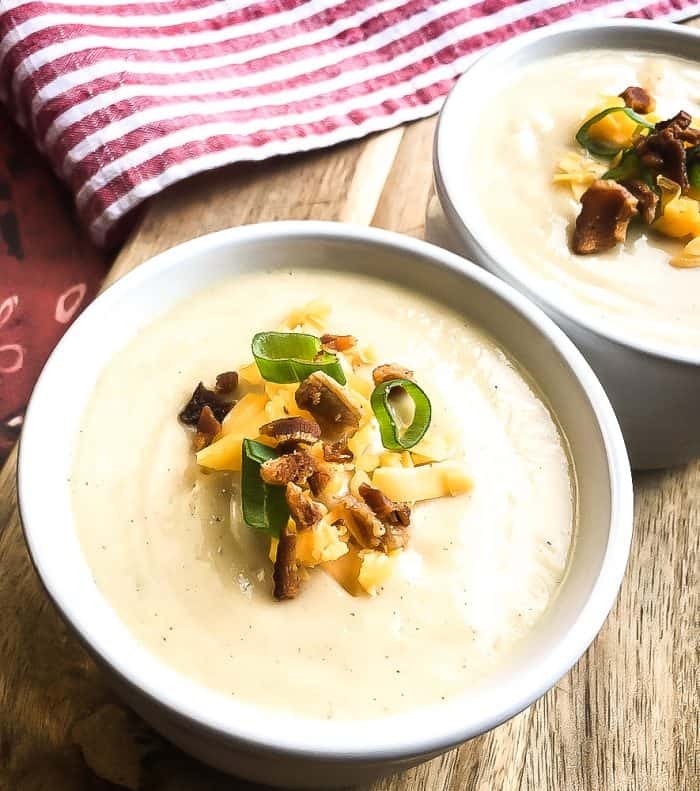 This keto instant pot soup will add some much needed variety to your low carb diet. 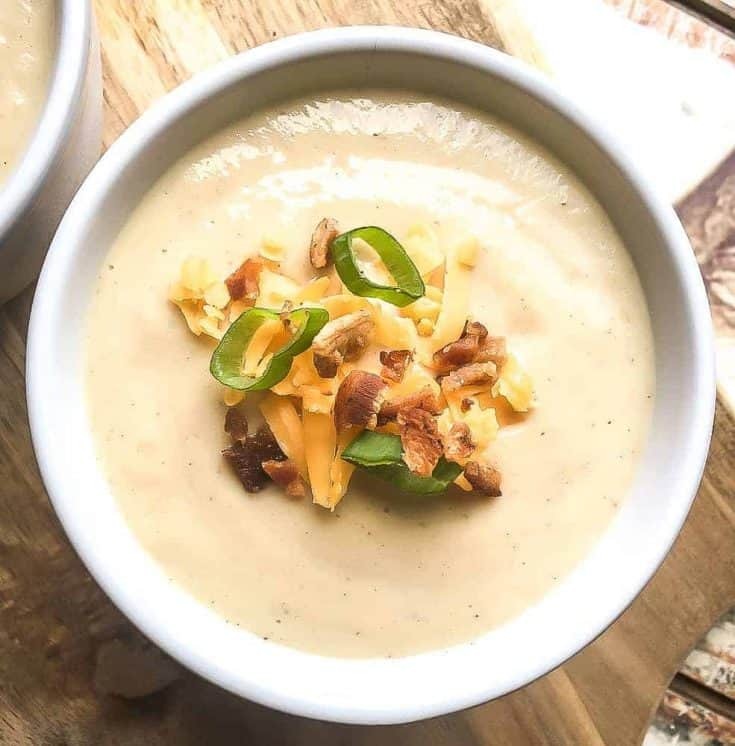 Enjoy this keto soup recipe hot or chilled! If you don’t care for the distinctive tangy flavor of goat cheese, try substituting ricotta, mascarpone, or additional cream cheese in its place. 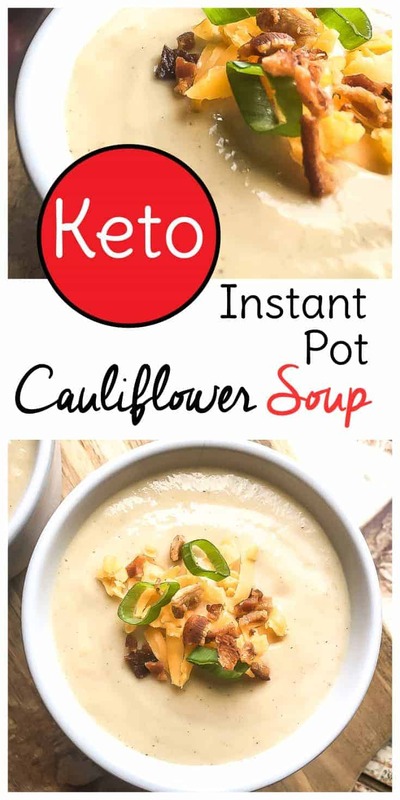 If you like this Instant Pot keto soup recipe, check out these Instant Pot Keto recipes too.